For laboratories needing a high-performance flame atomic absorption (AA) spectrometer, the PinAAcle™ 900F is a flame-only system with a true double-beam design for fast start-up and exceptional long-term stability. It features cutting-edge fiber optics to maximize light throughput for improved detection limits, as well as an eight-lamp mount, and automated flame and burner assembly optimization for enhanced productivity. 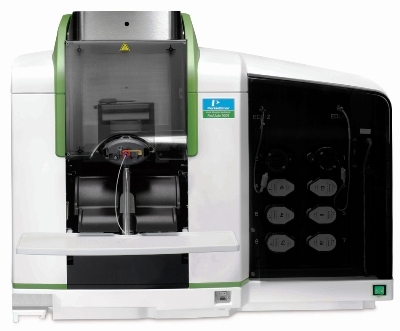 The PinAAcle 900F is controlled by the proven WinLab32™ for AA software – whoever the user and whatever the application, WinLab32 software makes it fast and easy to get from sample to results. By reducing the time required for method development, sample analysis and report generation, WinLab32 streamlines every step of your workflow for enhanced laboratory productivity.